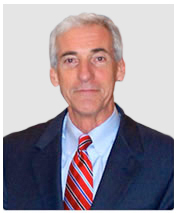 Chuck Drago | Ioppolo Law Group, PLLC. Chuck Drago brings extensive public sector experience in public policy, government affairs, business regulation, and law enforcement to ILG after over 30 years in state and local government. During his time in state government, Chuck served as Deputy Chief of Staff for Governor Charlie Crist as well as the Deputy Secretary and Secretary of the Department of Business and Professional Regulation. Chuck came to the Executive Office of the Governor after serving as the Deputy Secretary and Secretary of the Department of Business and Professional Regulation. As such, Chuck managed a statewide agency that licensed and regulated over one million Floridians and collected more than 1.2 billion dollars in fees and taxes. DBPR is the primary business regulatory agency in the State of Florida and oversees 20 different professions. In addition, the agency licenses and regulates all businesses associated with alcoholic beverages, tobacco, pari-mutuel wagering, hotels, restaurants, condominiums, and timeshares. The Chief Executive Officer is responsible for the daily activities of 2,000 employees, including 200 law enforcement officers and represents the agency before the Governor, cabinet members, and state legislative committees, boards of directors, community groups, and industry and lobbyist groups. Chuck Drago is also a former police chief and assistant police chief with over 30 years of progressive law enforcement experience. He served in the Ft. Lauderdale Police Department for 29 years where he retired in the position of Assistant Chief of Police. During his tenure with this city, Chuck received the highest departmental awards and successfully lead some of the city’s highest profile cases. After retirement, he was immediately appointed as the Chief of Police for the City of Oviedo, where he instilled a new philosophy of policing and restructured the agency for a more efficient delivery of service. As senior law enforcement executive, he has, in the course of his duties, reviewed and /or investigated over 300 allegations of police misconduct, including violations of police policies and procedures, police vehicle pursuits, K-9 apprehensions, use of force, officer involved shootings, and police vehicle crashes. Chuck Drago has proven to be a problem solver with the ability to enter an organization and quickly identify issues as well as the solutions. Mr. Drago acts as a government affairs and business consultant. He is NOT an attorney.